I write science fiction mostly, for both adults and kids. I’ve written science fiction – SF, not “scifi”! – since I was thirteen. The “why” is complicated but the root there is my relationship with my dad. See, I come from a family where sports were overwhelmingly important. Reading was there; the importance of education was there; but there weren’t that many other things we did together. When I was very young, my dad started watching Star Trek. I watched it with him. We didn’t share a lot, but the fact that he still reads SF – and I both read it and write it! – is still the thing we share. The book started years ago when I’d grown tired of reading stories with negative futures for young adults -- or a reliance on "magic" to get through life. I wanted strong young adults in a positive future relying on their abilities to solve difficult problems. 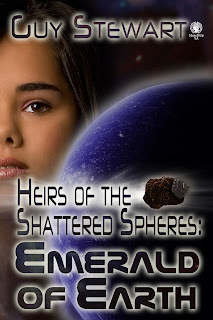 HEIRS OF THE SHATTERED SPHERES melds my love of space, science fiction, and my quest in a package I loved writing and I hope others will love reading. But I didn’t want to try to create “Robert A. Heinlein for the 21st Century”, either. The kids I work with as a teacher and counselor in middle school and high school face a whole world of problems even the brilliant Heinlein couldn’t have imagined. Autism, adolescent profound sports injuries – in boys and girls, cellphones, sexting, ipods, real data about the planets of the solar system and beyond, the “death” of higher education, the lack of trust in government of any kind, and the other challenges facing young people today will all make it into the series. The first book looks at autism, sports injuries in girls, and the “death” of higher education. First of all: Facebook, emails, Amazon.com, Goodreads, and the SFWA website. I’ll appear on a few more, as well as in my own blog and I’m working on a blog interview right now. Only one format right now. It’s an ebook. Madeleine L’Engle, Julie Czerneda, Bruce Bethke, David Brin, Gordon Korman, Anne Leckie, Jack McDevitt, Michael Flynn, and a host of others too numerous to name. “Never give up, never surrender!” Jason Nesmit, Captain of the NSEA PROTECTOR, from the movie “Galaxy Quest”. Hemingway’s is important to me, as is the quote from CS Lewis on my blogsite. Talking and writing about a place that's imaginary -- and then having other people UNDERSTAND what's in your heart! 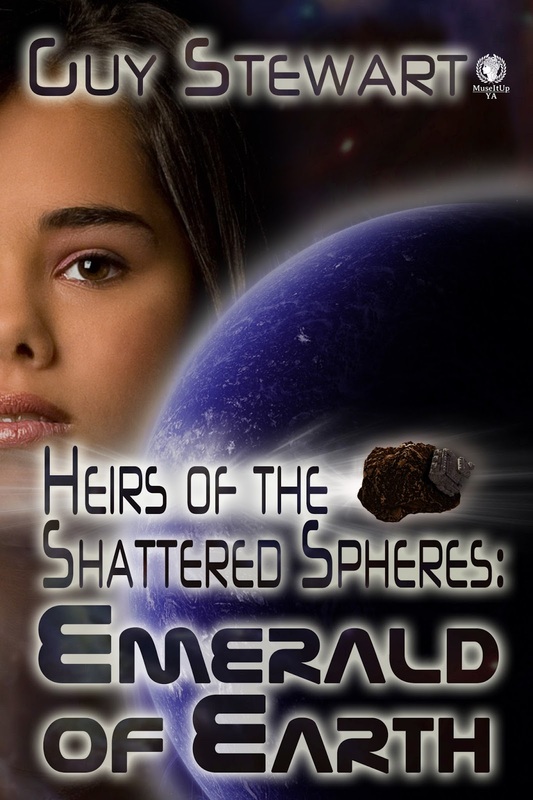 I love Emerald Marcillion – she’s brave, snarky, and willing to move forward rather than bury her head in the past. It shows young people engaging in a future that isn’t confined to Earth, not only going along “for the ride” but being a part of what’s happening. Young people can do that here, too, and I know some who have done just that. It’s just that they don’t get a whole lot of press for making a positive difference on this planet. That Emerald was autistic – because that diagnosis explained her behaviors; and that a character who appears to be bad also has a good streak. My wife, my kids, my “extended family”, the students at the schools I have worked and work at now, the staff of those same schools, and the many professional writers who took time to coach me along. Oh, man! Initially, I have to look at what’s been done and how people did it. Then I start to play with the idea – for HEIRS, there are all kinds of stories that feature generation STARSHIPS. Right now, all we have is a small space station, a few landings on our moon, and the spectacularly completed flyby of all of the major planets and several minor ones. My question is how do we get from here to those interstellar “ark ships”. I think the answer is obvious – we do a dry run, say a decade or more, using an ark-sized ship to really explore all of the planets in the solar system and bring to bear the full weight of Human intellect on the anomalies we’re certain to find on those planets. So – there’s tons of research out there exploring the feasibility of long-term space exploration and I love research…so there you go. Websites, blogs, obscure novels and texts, oh – did I say I’ve taught science from Astronomy to Zoology over the past 31 years? I’m writing a bunch of short stories that sort of…backed up...in my head while I was writing and editing this one (and one other called VICTORY OF FISTS). One story involves the last Mayan aristocrat; another is about a humorous meeting between Humans and a high-gravity alien; a third will look at the daily use of antigravity in rebuilding Liberian schools (one of those exceptional young people I mentioned above started an organization to do this.) I’ve also started the next book in the HEIRS series, Zacharias of Venus. COOL! 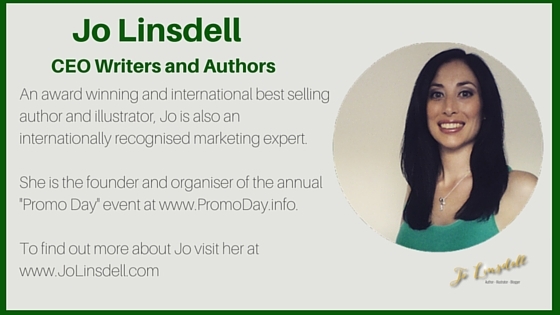 One word of caution, gleaned from reading several self-published novels: EDIT!!!!! John Christopher, whose TRIPODS trilogy I read when I was just thirteen were done and forced me to write my own stories to satisfy my questions. Ms. Barnes, my eighth grade English teacher who took my fiction writing so seriously that instead of just correcting the spelling and grammar errors in a story I gave to her, she made suggestions to tighten up the PLOT! I wish I could tell both of them how important they are to me! OH, YEAH! 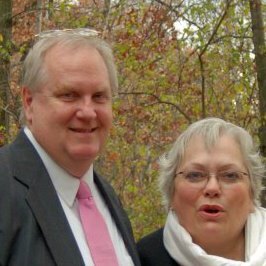 They put up with me and my wife teases me about being a Writing Widow, and the kids listene to my stories from the first draft through the last. Reading, camping, biking, watching movies, eating out, playing cards with close friends, and celebrating events with my family! THANK YOU FOR THIS! It looks GREAT!